This insect, notorious for its “smelly” reputation, earned its name from its tendency to release an odor when disturbed or when crushed. Many other insects have these same characteristics, including some species of ants, beetles and other bugs. Most stink bugs are herbivorous and use their piercing and sucking mouthparts to feed on plant juices. A few common species of stink bugs are predatory and use their mouthparts to drain fluids from caterpillars and other pest insects. During warm months, female stink bugs attach large masses of eggs to the underside of leaves and stems. After hatching, the wingless nymphs go through five immature stages before becoming full-sized, winged adults. 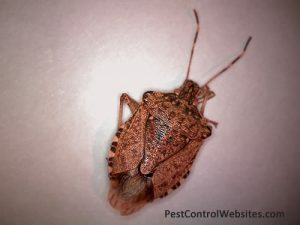 Stink bugs are not known to bite humans but caution should be used when handling them to avoid a release of their odor. Most species of stink bugs are innocuous, only feeding on their host plants, and are seldom encountered by humans. Stink bugs feed on a variety of plants, including crop species. When stink bugs feed on tree fruits such as apples, it results in a characteristic distortion, referred to as “cat facing,” that renders the fruit unmarketable. Some species can cause damage in cotton and other crops. Predatory stink bugs use their mouthparts to drain fluids from other pest insects. Some predatory stink bugs are important, beneficial insects in crops and gardens. They prevent caterpillars and other insect pests from destroying plants, trees, crops and gardens. Scientists are interested in using them as natural control agents of crop pests. When handled or disturbed, stink bugs are able to secrete a bad-smelling, bad-tasting fluid from pores on the sides of their bodies. This secretion protects stink bugs from predators. They are often fed upon by birds, spiders, assassin bugs and other arthropod predators (including other stink bugs). Many species are attracted to lights at night. Adult stink bugs of various species are active from spring through late fall. To prevent stink bugs from entering homes and buildings, seal cracks around windows, doors, siding, utility pipes, behind chimneys, and underneath the wood fascia and other openings. Use a good quality silicone or silicone-latex caulk. Damaged screens on doors and windows should be repaired or replaced. A licensed pest professional can treat for stink bugs in the late summer or fall just prior to bug congregation. If stink bugs have already entered a home or building, a vacuum cleaner can aid in the removal of live or dead stink bugs. The bag must be removed to prevent odor from permeating the area. 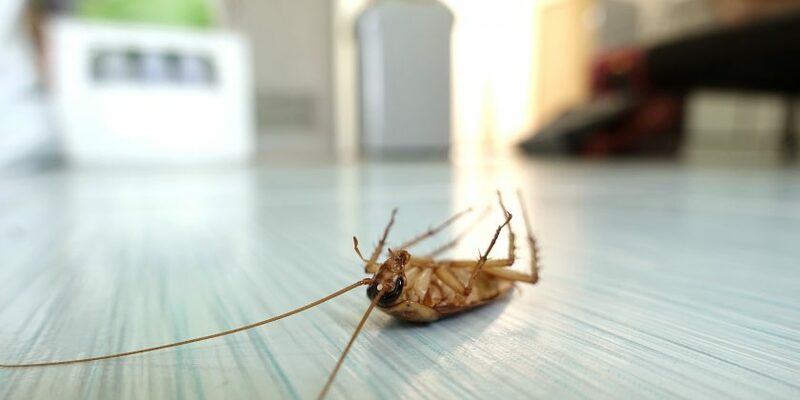 If an infestation has developed inside the home or building, a licensed pest control operator should be called to evaluate and assess the problem. Whether you call home a trailer or a mansion, pest problems don’t need to be a part of your life! 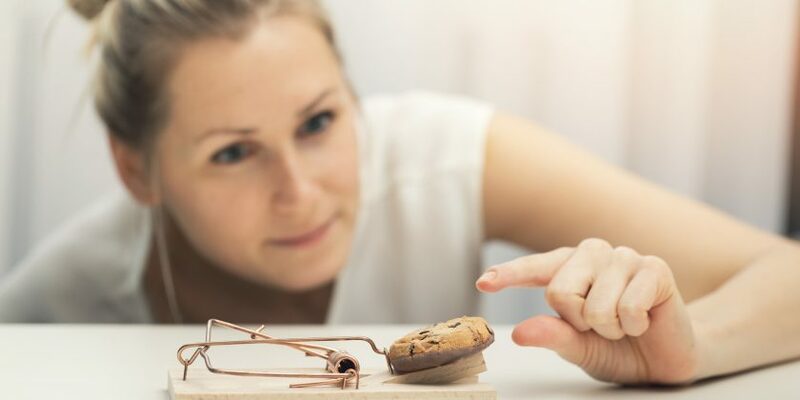 What signs to look for in your home to prevent pests from living with you?